This feature is used for importing inventory data from Excel/foreign software into the Sleekr Accounting system. Click the Import.xls button to download the data import template. 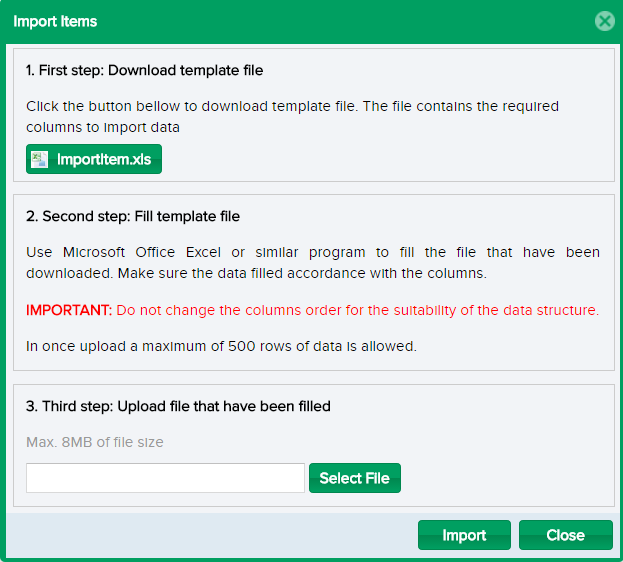 The file will contain mandatory columns for data import. Use Microsoft Office Excel or a program similar to input your data on the template you've downloaded. Make sure you input the data in their correct and designated columns. 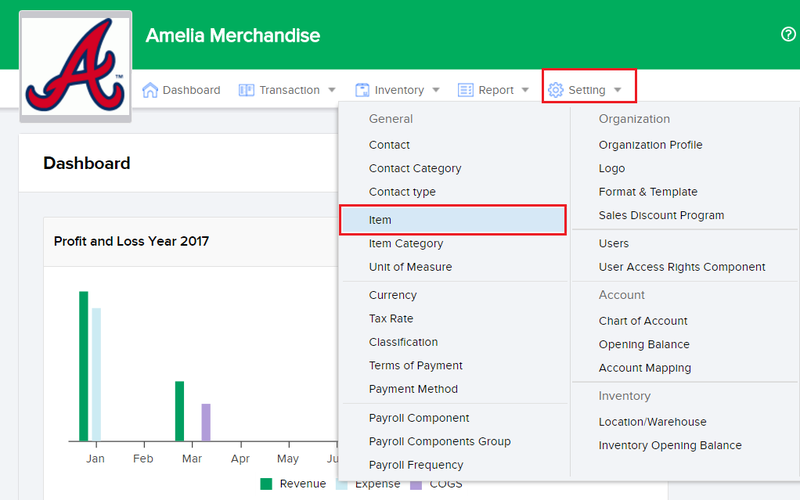 Note that you are advised not to make any adjustments to the columns or its order in your template as this is set to Sleekr Accounting's system defaults. You are able to input a maximum of 500 rows in one upload before you save data. Click the Select File button to upload your template (you previously downloaded and performed your data input on). Click the Import button when you are done.